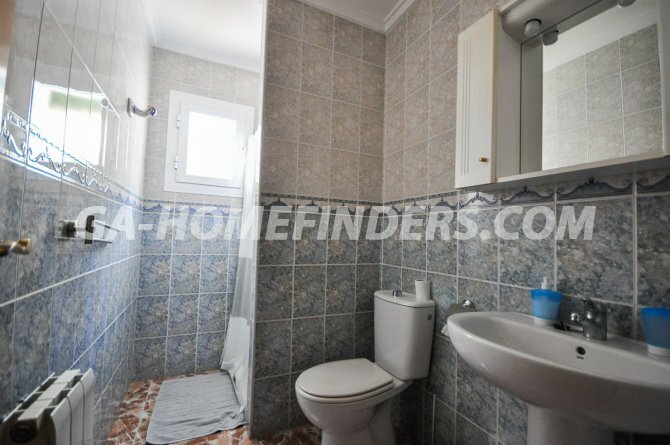 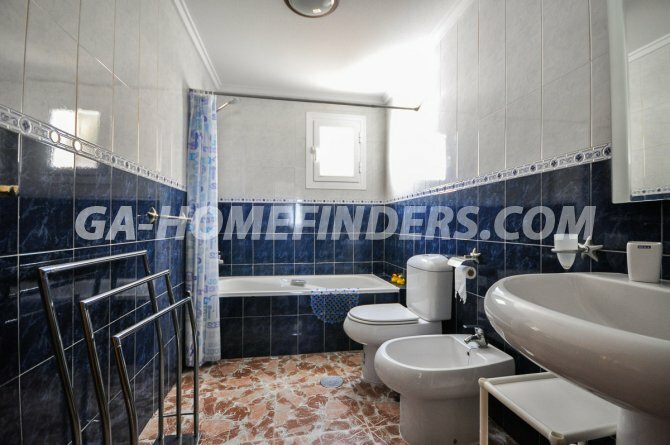 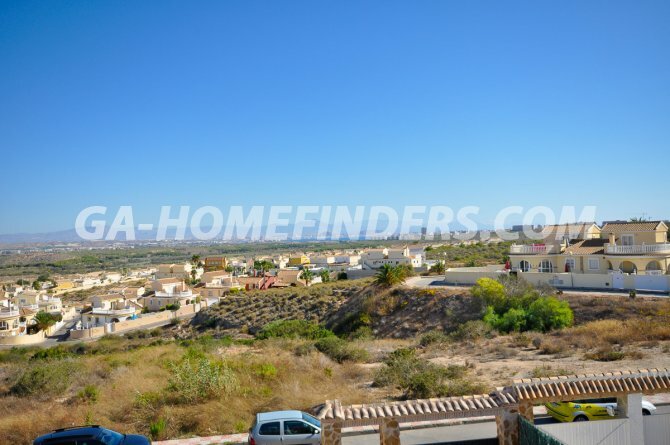 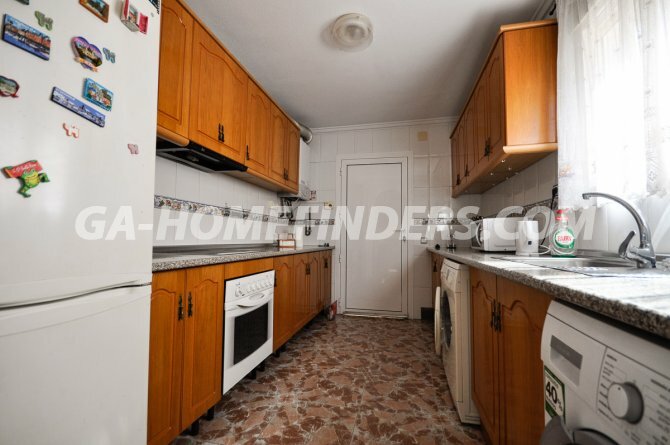 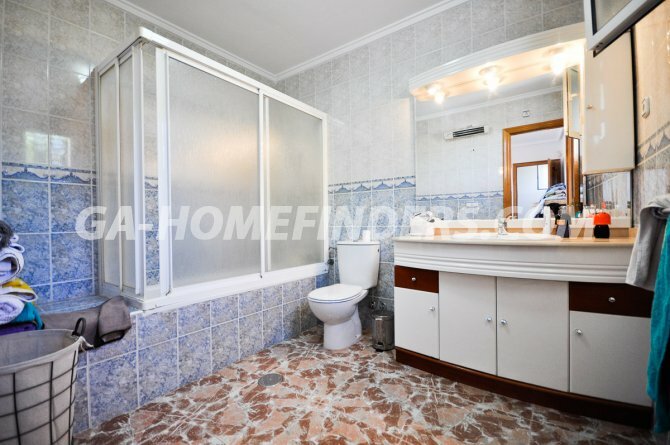 Semi detached villa with 3 bedrooms and 3 bathroom and 1 cloakroom, partially furnished and with kitchen appliances, independent good sized kitchen, air conditioning (hot and cold), central heating, fire place, built in wardrobes in the bedrooms, blinds on all the windows, basement / garage / storage. 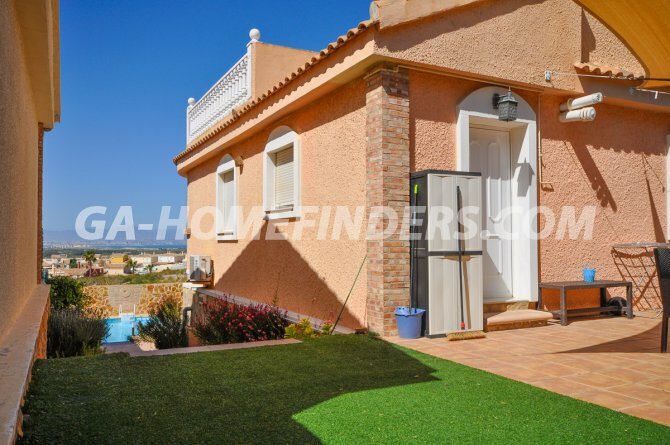 Nice sized garden with barbecue and private swimming pool (8 x 4) and a nice sitting area, sun covers. 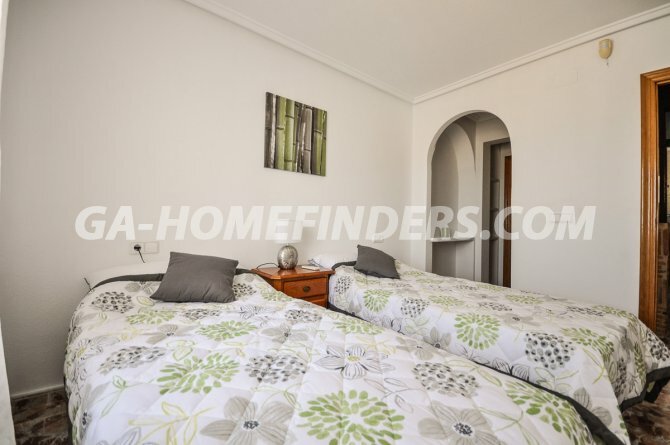 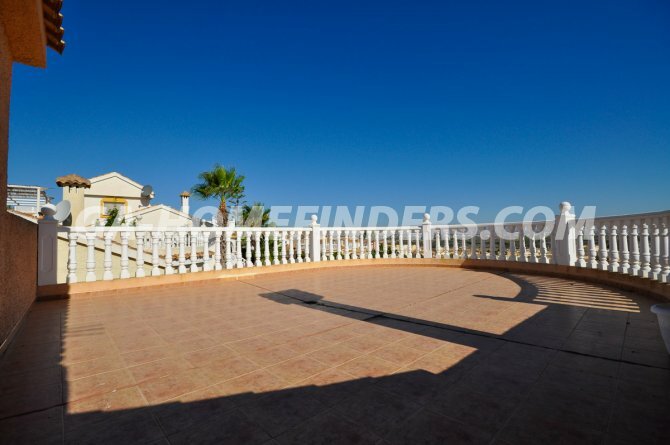 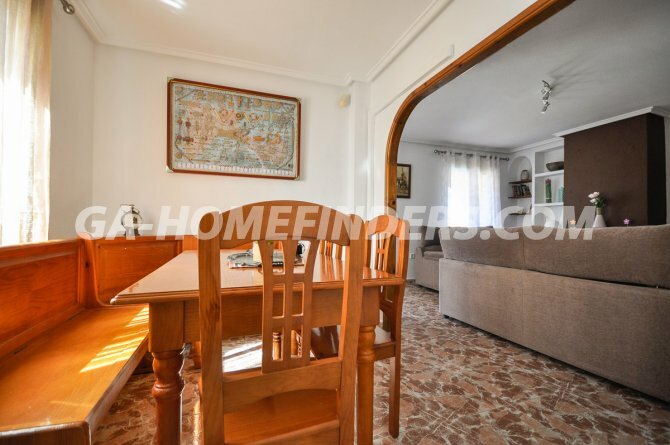 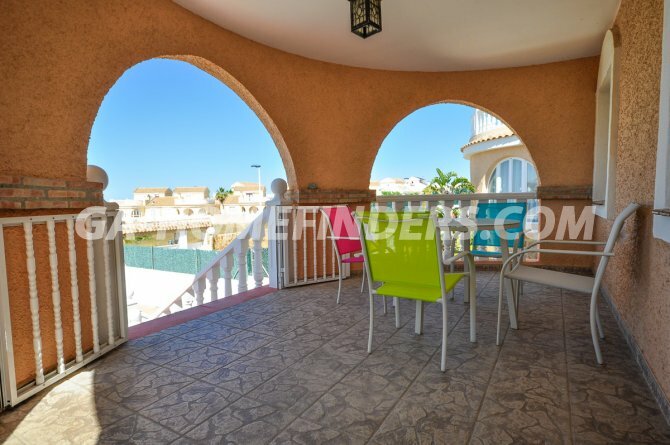 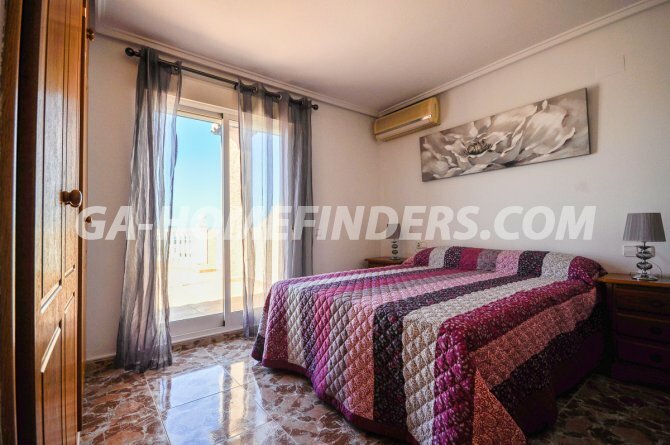 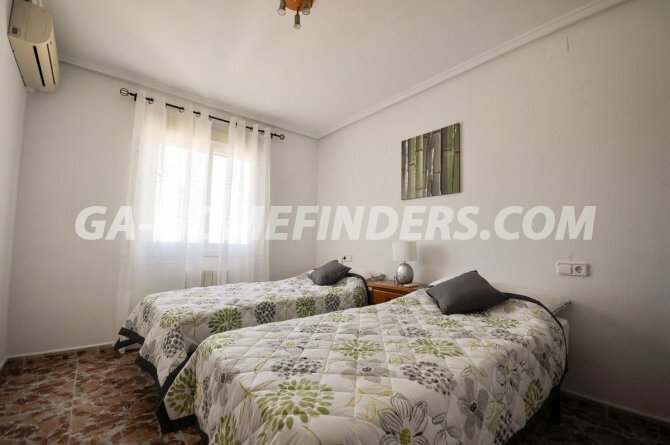 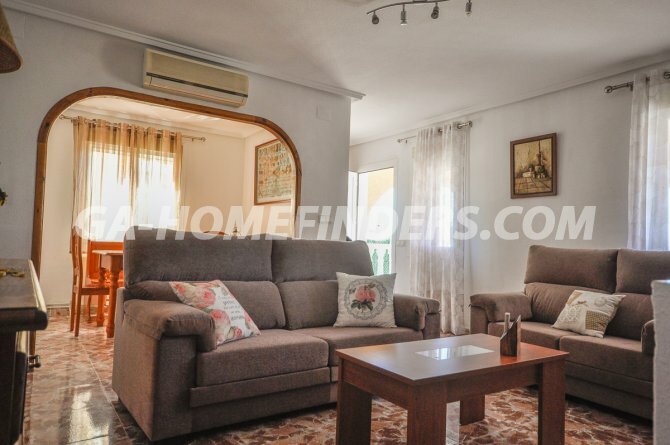 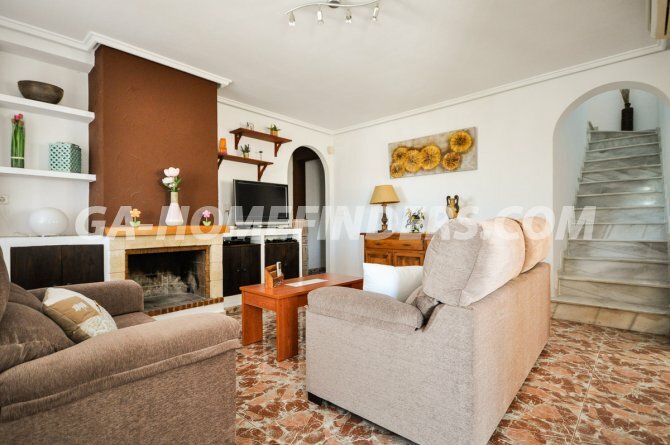 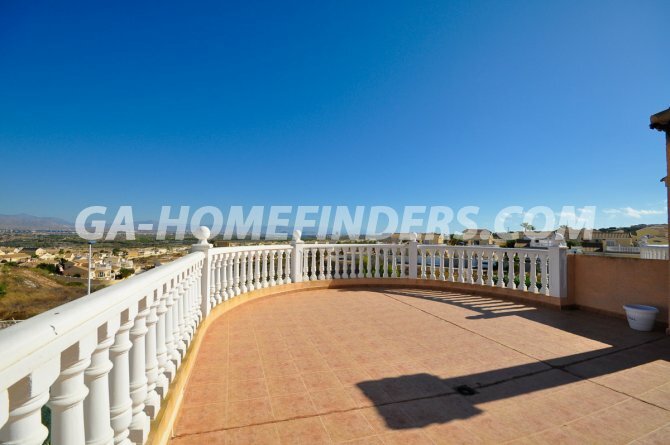 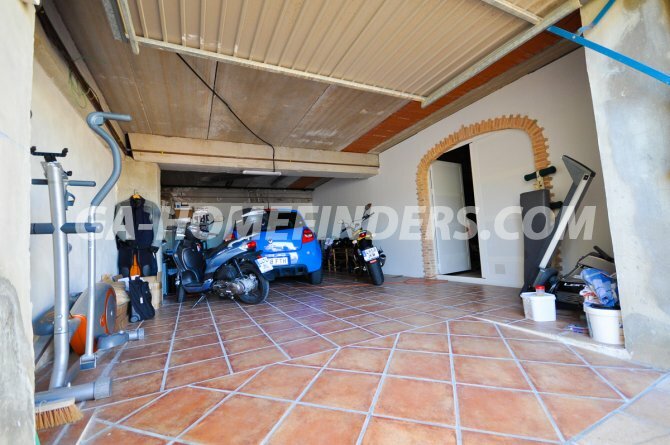 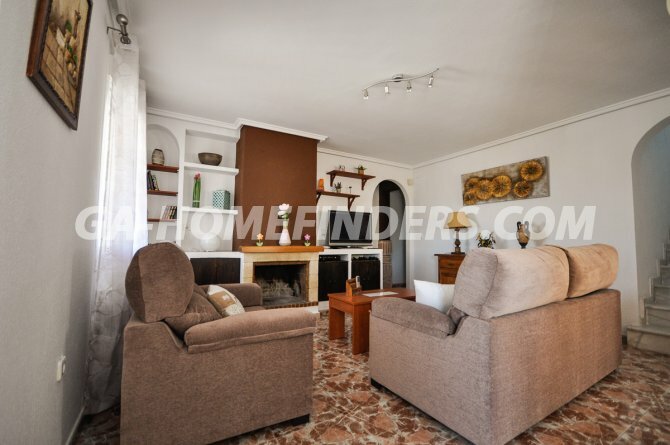 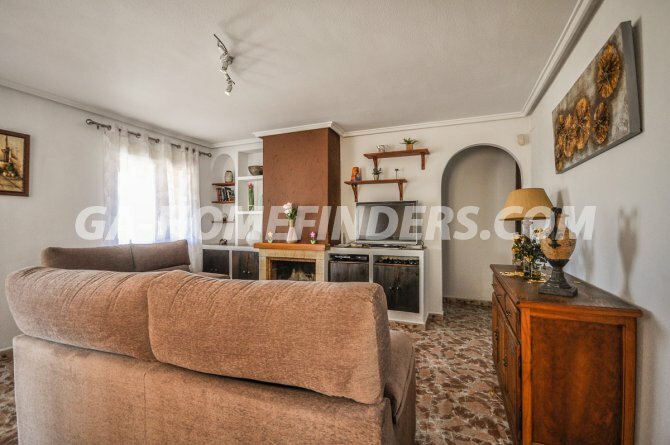 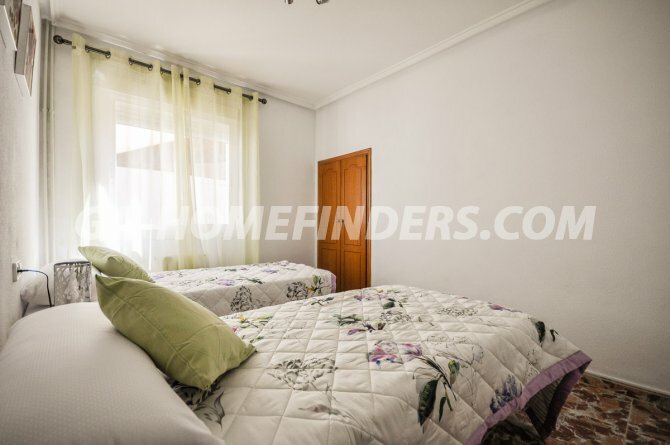 Partially covered terrace with lovely views, solarium with lovely wide open view, located in a quiet well maintained urbanisation within walking distance from the bars, restaurants and supermarket and the public swimming pool, situated in the lower part of Gran Alacant.